Shaylee Palmer is looking for an art teacher to confirm her talent, but finds herself fighting her growing attraction for a man who has sworn off serious relationships. Divorced and cynical, Michael Merrick is looking to re-connect with his Muse, but instead has to deal with his gifted, but spunky and stubborn student. 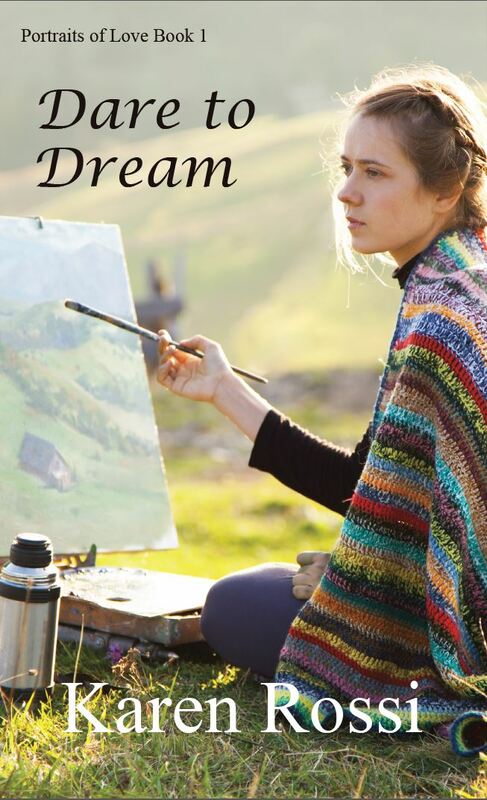 Dare to Dream is available in print and as an e-book from Amazon. The age difference between Marita Osborne and the man she has fallen for is socially “upside-down”. She is in her forties and overweight, while Miguel Cordova, her art teacher, is nine years younger and built like a slender matador. But Marita doesn’t believe he can love her and keeps pushing him away. After a string of girlfriends, only concerned with their slim bodies, Miguel feels he has met the woman of his dreams. Marita’s earthy laughter and voluptious curves turn him on like the hard-bodied beauties never could. The age difference means nothing to him. How can he make her believe she’s the one for him? Mika Laine, whose background is Finnish, goes to lecture about Canadian Art at the University of Helsinki for the fall term. The university has sent Anna-Liisa Saari to meet him at the airport and he is immediately attracted to her. But she is divorcée with three young children and because of his past, Mika detests kids, and does not consider himself husband material. Despite all of this, he finds himself irresistibly drawn to Anna-Liisa and finds it impossible to stay away from her. In order not to cause problems, Anna-Liisa has obeyed her jealous, alcoholic ex-husband’s demands that she not have a boyfriend . . . or else! She is very attracted to Mika but is afraid to start a relationship, not just for her own safety, but also for his. Is she doomed to live with no love in her life, or does she dare take a chance with Mika? On a Mediterranean cruise Angela Cordova befriends Travis Jordan and, as her friend has encouraged her to do, she “lets her hair down”, going completely against her modus operandi. They get along so well, that she never suspects he is hiding something from her. Travis Jordan doesn’t dare to tell the wonderful woman he has just met aboard the cruise ship about his wife. She would never understand. And he is right. When the facts about his wife come to light, Angela leaves him without a backward glance. When fate brings them together again, does she dare to trust him once more? Katharine Wilder is devastated when her young daughter is arrested for suspected shoplifting. She wants Maggie involved in wholesome activities, so they join a church, where Katharine falls in love with Brad Scott, the beloved and respected minister. But she is frustrated and puzzled when he won’t let their relationship evolve beyond friendship. Brad harbors a secret from his past and feels he is beyond forgiveness for his heinous actions involving a woman. His fight to stop himself from falling in love with Katharine is in direct conflict with her goal to win his love. Beyond Forgiveness is available in print from Amazon. Marshall Kenton is content with her life. She has two great kids and a good man who loves her. It’s a far cry from her tumultuous past and the bitter memories of life with her alcoholic ex-husband, Robert. After nearly fifteen years of healing for herself and her eldest child, who has never outrun the demons of his ravaged childhood, Marshall has finally found a place of peace. But her hard-won tranquility is destroyed when Robert approaches her about rekindling what they once had. She’d be mad to even look at the man, but can’t help the feelings of passion he once again stirs within her. He was—and always will be—her true love. But can she trust him? 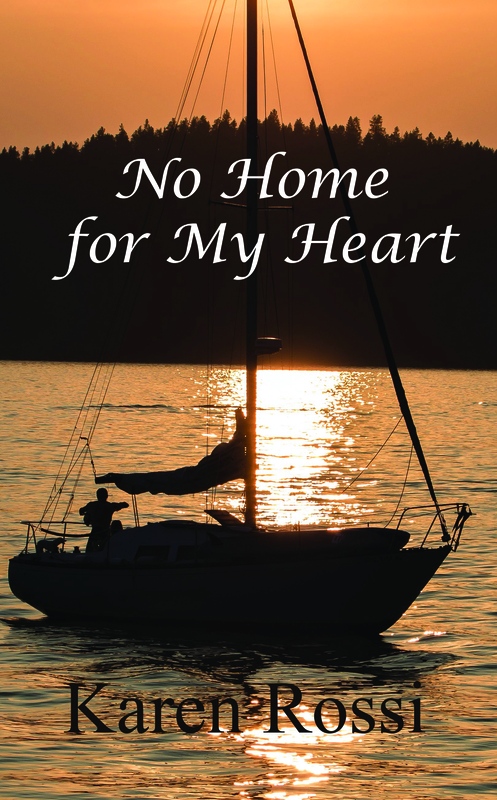 No Home for my Heart is available in print and as an e-book from Amazon. Tina Edwards arrives with her young son at a First Nations Reserve to teach in the local school. She is immediately drawn to the handsome chief, Hazard Abraham, despite the fact that he sees her as a meddling do-gooder. Hazard Abraham, newly elected chief of Greenstone Number 58, finds the new teacher annoying in her attempts to suggest unwanted improvements. They clash at the least provocation but despite everything he can’t help his growing desire for her. 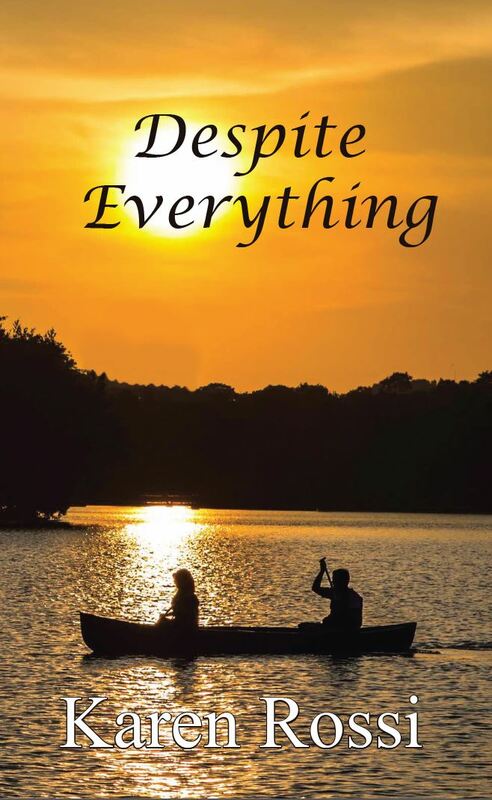 Despite Everything is available in print and as an e-book from Amazon. Hot Encounters is a an anthology of four steamy stories. My contribution is entitled “Hot Romp on the Beach”, a playful, humourous meeting of David and Barbara, both newbies at a nudist beach. Hot Encounters is available as an e-book and in print from Amazon.